Zest oranges and divide between ice cube tray sections. Add simple syrup and Aperol to each section and freeze for at least 6 hrs. 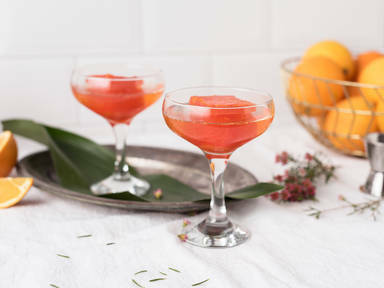 Add 1 Aperol ice cube to each glass, top with Prosecco, and garnish with orange wedges. Enjoy!